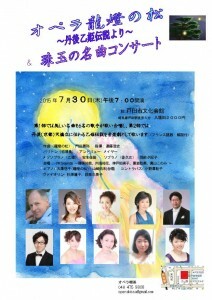 Andrew Mayor is heading to Japan next week for three opera galas, in Osaka on 26 July, Tokyo on 30 July and Nishinomiya on 1 August. The first two performances include the short opera Otohime by the Japanese composer Nobuya Monta, based on a Japanese folk story. Andrew sings the role of Yasura.